In recent years, during my lunch hours, I watched a lot of past TV shows on DVD. Two of my favorite TV shows have been Northern Exposure and The Rockford Files. Recently I discovered an interesting connection between the two shows. David Chase has produced, written and/or directed numerous episodes for each show. (He is also the creator of HBO's The Sopranos). 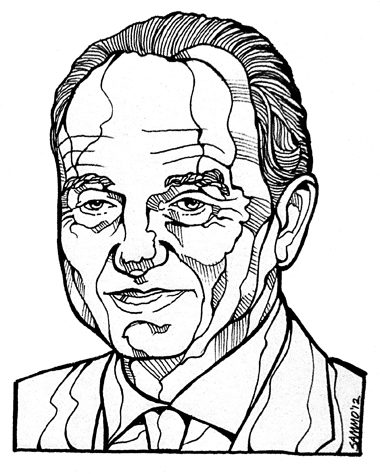 So that gave me an idea to begin the "Obscure Personality Portrait Series" which depicts influential people many have never heard of. 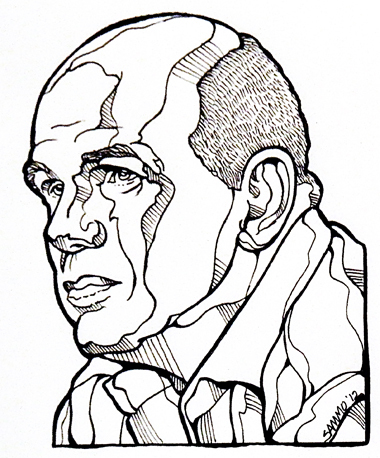 This is my drawing of David Simon, also part of my ongoing "Obscure Personality Portrait Series" depicting influential and interesting people many may have never heard of. David Simon is the creator/writer of two of my favorite TV series, NBC's Homicide: Life on the Streets and HBO's The Wire.